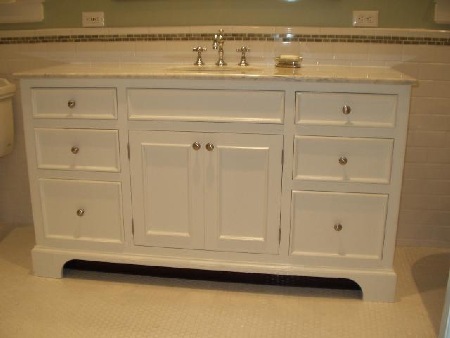 Painted white vanity with custom toe kick design. 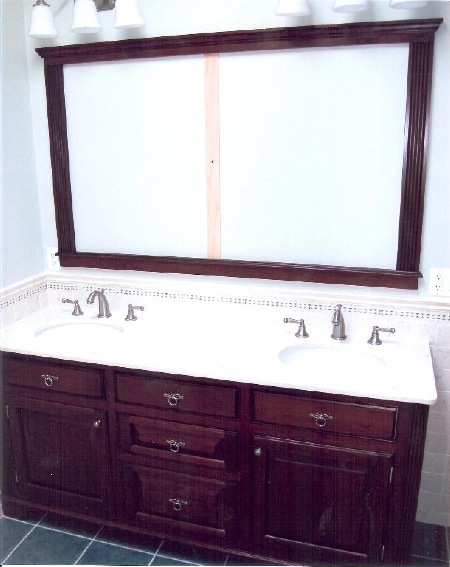 Distressed cherry vanity with coordinating mirror frame. 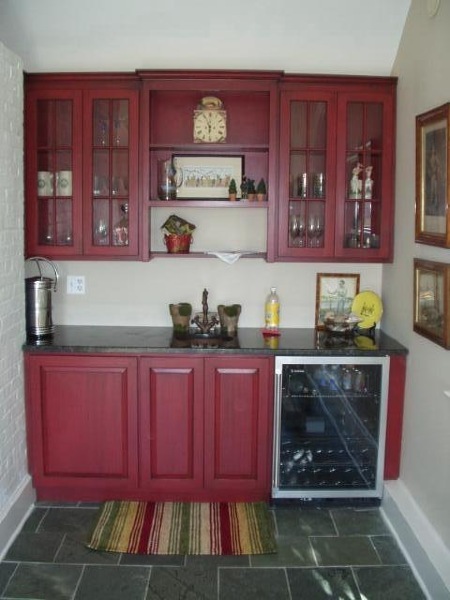 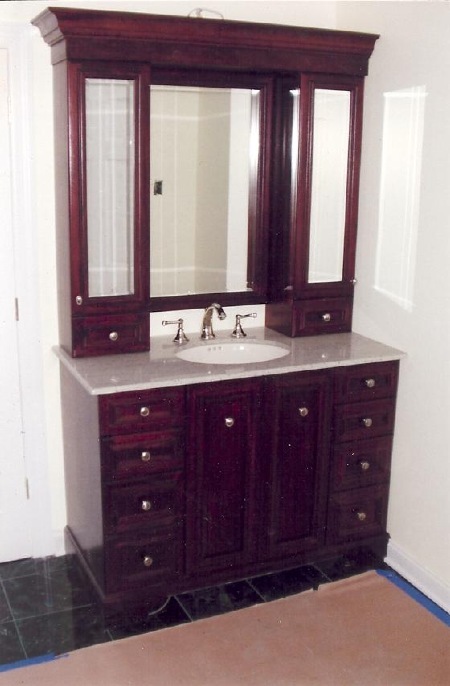 Solid mahogany vanity with mirrorred storage cabinets. 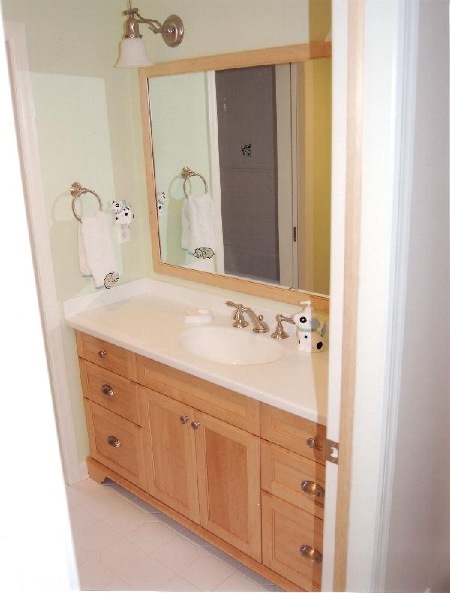 Solid maple vanity with natural finish. 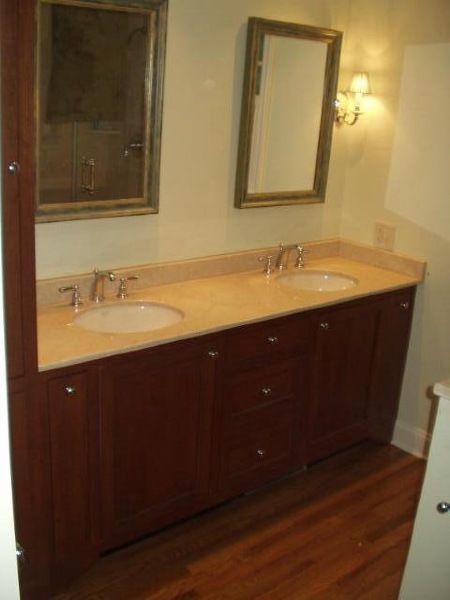 Solid cherry vanity with natural finish. 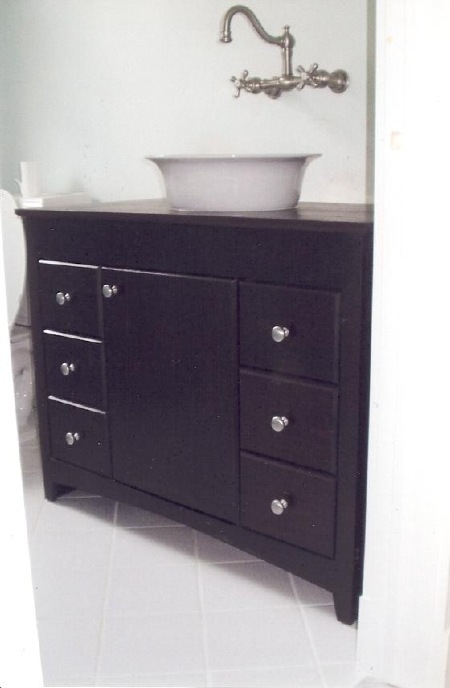 Black lacquered vanity with bowl sink. 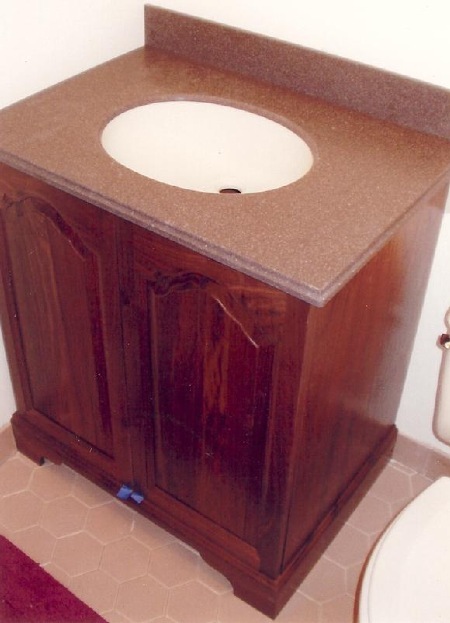 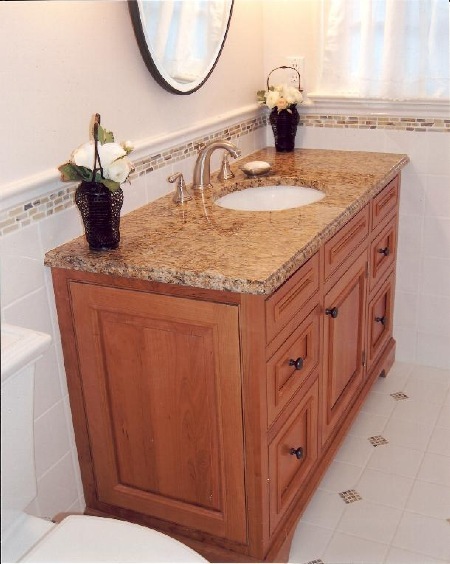 Mahogany vanity with natural finish. 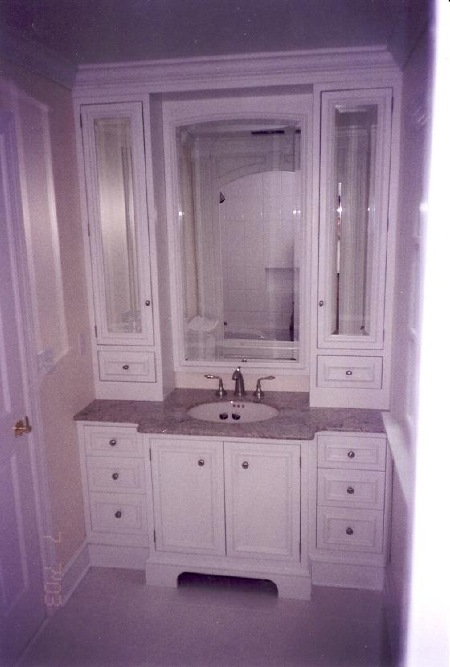 Dark stained cherry vanity with matching linen cabinet. 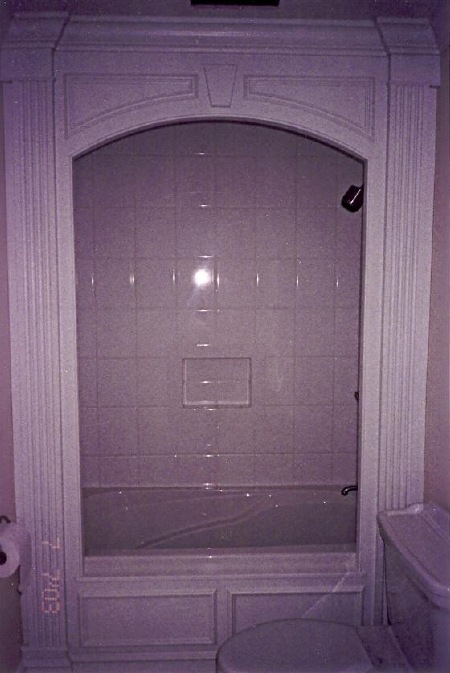 Shower surround raised panel and fluted columns. 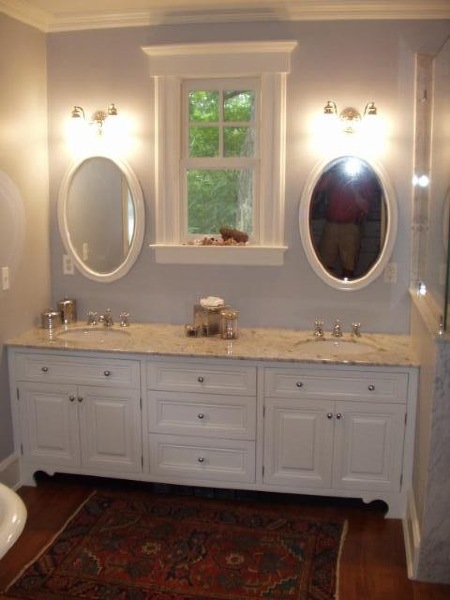 Painted white vanity with recessed medicine cabinetry. 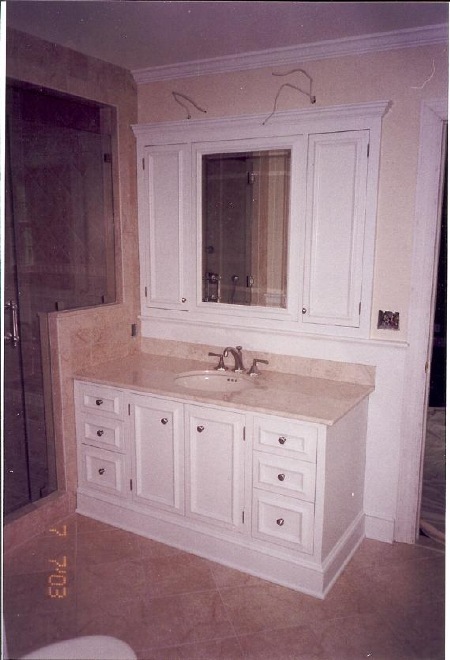 Painted white vanity with storage shelf below sink area.